Provide comfort for the family of Thaya Williams with a meaningful gesture of sympathy. A celebration of life for Arlette Williams, 85, of Enid, will be 11:00a.m., Thursday, March 21, 2019 at Emmanuel of Enid with Rev. Wade Burleson officiating. Burial will follow in Enid Cemetery. Visitation will be held on Wednesday, March 20 from 6:00-7:00p.m. at Ladusau-Evans Funeral Home. loved & was devoted to. Her next job was in Dr. Windell Mercer’s office where she met patients she would know for a lifetime. After being married on April 30, 1955, they would spend time antiquing, fishing, gardening, and purchase their home in Enid and live at the same house for the next 50 years. They started their family in 1960 with the birth of their son William Ray (Bill), followed in a year by Melinda (Mindy) Lou and complete their family 18 months later with Robert Lee (Bob) Williams. Arlette was then a stay at home mother. She loved it. She learned cooking from her mother-in-law Roberta, and baked continuously, having “goodies” every evening for Bill and the kids. She sewed the majority of her & Mindy’s clothes. Supper on the table together each night and a prayer would be a mainstay of the Williams household. Bill and Arlette began attending Emmanuel Baptist Church where she continued for almost 60 years until her passing, culminating with a very special group of ladies in her Sunday School and Pastor Wade who she adored. Insistent that the kids have a good Christian upbringing, Arlette (who didn’t drive) would walk her 3 small children (5, 4, & 3 years old) to church on the Sundays Bill was working at the bakery. As happens, life would change, and Arlette went back to work to help support the family and was hired immediately to be Manager of J.C. Penny’s catalog department where should would work and retire after over 20 years. Her careers and service were not over, she went to work for the Enid School system as a cook at Glenwood Elementary, then went on to be a bus monitor on the special needs bus until her final retirement at the age of 84. (No that isn’t a typo.) All her life, Arlette loved spending time with and taking care of her family, it was her calling. She enjoyed fishing, loved gardening and took pride in her flower beds her entire life. Healthy & wanting to stay current, she learned to text at 84 years old (with emojis) which her grandkids loved. Facetime offered challenges, often seeing only one eye on the screen as she would keep the phone to her face. Oh what fun! Beside her family, Arlette’s love and passion was the University of Oklahoma football team. Every Saturday in the fall, the pacing through the house would begin, the “loud” coaching leveled through the TV to the team to do better and win, no chair could hold her unless there was a 3 touchdown lead. She passed her love of sports; football, baseball, softball, basketball, (and OU) on to all her children as her father had graduated from OU. When Bill, Arlette, & the kids watched an OU game together, we hoped the floors would hold & the roof would stand and that continues to this day. When the pride and joys of her life, the grandchildren came around, she and Bill would drive all over the state to watch them in their sports and activities with the same level of enthusiasm and helpful advice to the referees and umpires. Arlette’s family included her loving children and grandchildren; Bill and wife Ann Williams of Enid, with their children Lindsay, Melissa, Ramsey/wife Nicole, Rayann and Bailey; Mindy & husband Karl Hunter of Ft. Supply, OK with their sons, John, Shelby/wife Emelie and Shawn/wife Jessy; Bob Williams and the final precious grandchild, Harper Lee of Bartlesville, OK. She also had seven great-grand-children and her very special niece, Jennifer (Rowland) who loved to spoil her; her sister Juanola Garriott of Norman, OK, along with numerous other family and friends. Her final blessing would come much later in life; her puppy Penny who was her faithful companion until the end. A very full life to say the least. She was preceded in death by her beloved husband John William (Bill) Williams of over 50 years; her very special sister, Marthalene Rowland & husband Buddy; her parents Merle & Martha Swartz; her in-law’s, Ora Ray & Roberta Daisey (King) Williams and several sisters & brothers-in-law. Arlette would state, with tears in her eyes, I was truly loved by the best man and the best kids in the world, all a blessing from God. In truth, Arlette blessed the lives of her family and friends. As any wife and mother, she gave, expecting little in return. She would want everyone to know she accepted the Lord as her savior at a young age, loved the Lord her entire life, and after a short battle with cancer, passed away at her home, surrounded by loved ones and went home to Heaven on March 18, 2018. Truly, the Circle is Unbroken. Until we see you again mom……. 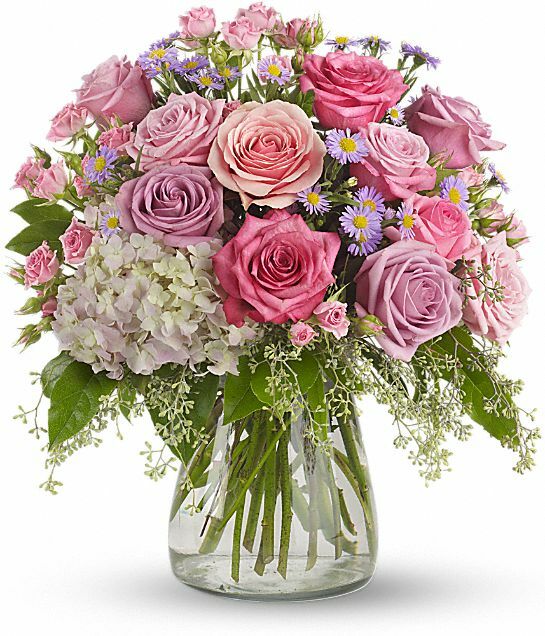 To send flowers in memory of Thaya Arlette Williams (Swartz), please visit our Heartfelt Sympathies Store. We encourage you to share your most beloved memories of Thaya here, so that the family and other loved ones can always see it. You can upload cherished photographs, or share your favorite stories, and can even comment on those shared by others. 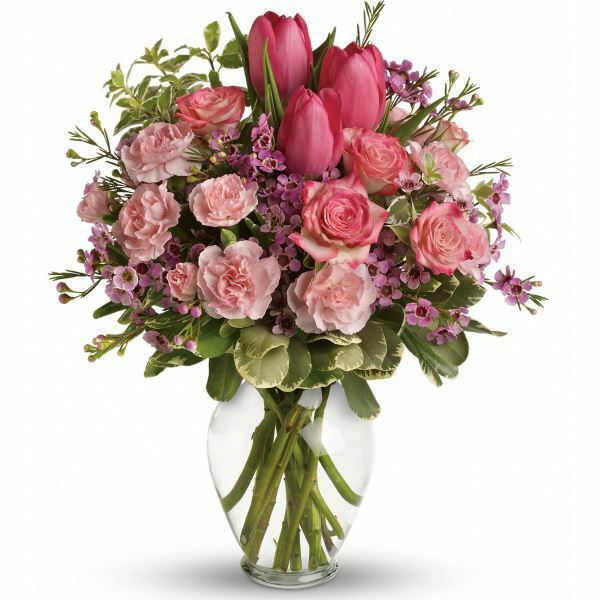 Gary and Oletta Smith sent flowers to the family of Thaya Arlette Williams (Swartz). Bob & Harper, Our thoughts and prayers are with you. Heartfelt Sympathies Store purchased flowers for the family of Thaya Williams. Such a sweet lady, will miss seeing her in church. Gary and Oletta Smith purchased the Your Light Shines for the family of Thaya Williams.